As much as I love the Man of Steel, I wasn’t quite prepared for the collective hype put forth by the fanbase when it came to recent news pertaining to Superman: The Movie. After all, I imagine you and I have each seen the flick on numerous occasions, but there’s admittedly something quite special about whenever it makes the leap to the latest home theater technology. In fact, the picture starring Christopher Reeve that blazed the trail for all superhero films to follow is returning to cinemas in time to celebrate its 40th anniversary, but it stands to reason that not everyone will be able to attend the limited engagement. 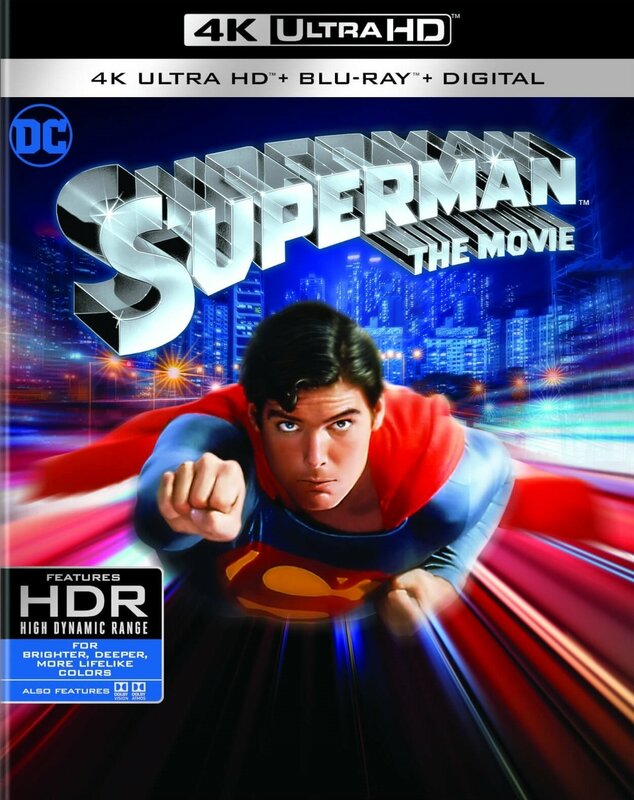 Therefore, you may want to start paying attention because the rumors have proven true – Superman: The Movie will indeed be making its way to the 4K Ultra HD Blu-ray format on November 6th! Seen below is the cover art for the souped-up release, and I guess it’s safe to say that the folks at Warner Bros. really wanted to stress the idea that this is going to be the most visually dynamic home video package that this iteration of Big Blue has enjoyed to date. Tell us, will you be picking up Superman: The Movie on 4K UHD Blu-ray? Sound off in the usual place below!